Samsung Galaxy S3 Mini Confirmed, Will Go Head-To-Head With iPhone 5? Apple finally relented to the masses and increased their smartphone’s screen to 4-inches with the iPhone 5. This change came just as the market was starting to get saturated with devices that had huge four to five inch displays, a movement spearheaded by Android and the many Samsung Galaxy phones. But now, it looks like the South Korean electronics company is taking a step back from their “bigger is better” philosophy by releasing a smaller version of one of their flagship devices, the Samsung Galaxy S3 Mini. Rumors about a miniaturized version of the Samsung Galaxy S3 have been floating around the internet for a while now. Those rumors got a bit more traction when last week, an invite for a Samsung invite promising that “something small will be really big”on October 11 started circulating. Today, we can confirm that the Samsung Galaxy S3 mini is indeed on the way. Shin did not provide any additional details about the device. 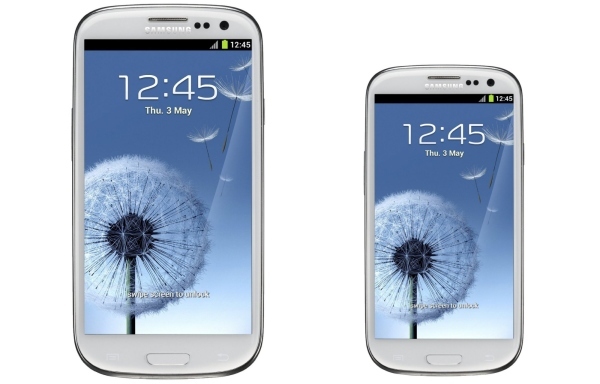 But based on his statement, it looks like the Samsung Galaxy S3 Mini will be primarily targeted at European consumers. Still, if the device ends up selling well, there’s no doubt that it will see release in other territories eventually. Does a 4-inch Samsung Galaxy S3 Mini sound appealing to you? Would you choose this device over the iPhone 5? Share your thoughts in the comments below!